Acupuncture psoriasis treatment is one way to manage psoriasis. 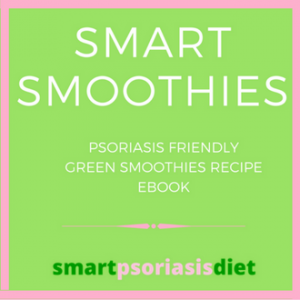 Read our review of using this as an effective psoriasis remedy. 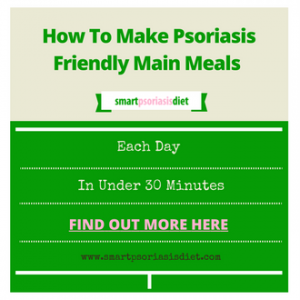 Psoriasis is one of the worst and unpleasant chronic conditions that results in scaled and inflamed patches on the skin. 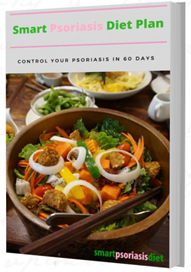 The psoriasis flare-ups are caused by a number of factors such as stress, infections and climatic changes among other things. However, the root cause of psoriasis can be said to be other factors such as endocrine, metabolic or immunology factors. When treated from the initial stages, the condition can be contained and although it is not curable, different remedies such as acupuncture psoriasis treatment and Chinese herbal therapies could help in the treatment. Many psoriasis patients have reported tremendous improvement after the use of the treatment and this has been confirmed through various researches that have been carried out on the sessions. It is however worth noting that acupuncture is not a magic treatment and requires a number of sessions before any improvement can be noted and therefore those who opt for it should be patient enough while at the same time maintaining a healthy lifestyle. This means you should avoid different things such as smoking, stress, alcohol and make sure that you catch enough sleep, as this will help avoid triggering the symptoms. This comment is from a patient who says he has used it for more than one year. Although he is sincere to point out that the condition has not cleared, he points out that it has helped in relieving stress something that is very important for alleviating the symptoms and preventing flare-ups. Although there is a negative voice in the next comment, the patient is quick to point out that she has experienced major strides after using acupuncture psoriasis treatment. She also points out that she has tried her hands on other remedies which did not work for her. She ends her comments by striking a balancing tone calling for patience and the use of the right treatment combinations. This next comment is from someone who says she used acupuncture on her husband who has psoriasis lesions on the scalp and the ears. She reports experiencing tremendous improvements while at the same time combining the sessions with other remedies. It is amazing that the results were evident within short time. This comment is from another psoriasis patient who has used acupuncture for almost one year along with Chinese herbs. Although he does not consider the two as having worked on his condition, he is sure that acupuncture psoriasis treatment helped him relax and this enjoyed great benefits as it helped prevent the common flare-ups. This patient is not only willing to talk about his experience but is also willing to show the evidence using his “before and after” photos. Although in the beginning he did not believe the sessions could work, he tried it and within six weeks, something tremendous had happened to him. This is yet another amazing story of a patient who has tried all the methods they could get yet without much to show for it. However, turning to acupuncture psoriasis treatment seems to have worked wonders not to mention that it was after a few sessions. The next comment is from a lady who says she used the remedy along with Chinese herbals with tremendous results. Although the skin infection recurred after some time, a return to the remedy has so far helped alleviate the problem and she is still continuing with the sessions. The road has not been all rosy for everyone using acupuncture. The following comment is from a patient who has not had a good experience which he attributes to the use of the remedy. According to him, it did not work. This next patient used acupuncture together with other remedies such as dieting. According to her, she does not believe that acupuncture helped in any way and the results she saw are attributed to the diet despite there having been nothing to prove that. As aforementioned, acupuncture and other remedies work closely together and therefore we cannot say for sure whether the remedy was unnecessary in this case. This comment is from someone who has used acupuncture and it has worked only in relieving the pain but not helping change the skin condition. It seems as though the remedy is working halfway and it is not clear why this is the case. It is quite expensive as a form of stress management. Thankfully in a lot of countries they are starting to allow acupuncture sessions to be covered by your medical insurance. There is quite a range in terms of quality of acupuncturists especially in 1st world countries. A lot of newly qualified acupuncturists specialize in treating sports injuries and may not fully understand what is exactly required to treat skin conditions. I have been fortunate to have been to 2 of the best acupuncturists on both sides of the equator and they have worked wonders for me. However I have also experienced lower quality acupuncturists that did not give me the desired result I had been so used to getting from my previous acupuncturists. My advice is to try a few acupuncturists until you find the one that fully understands psoriasis and is empathetic to your pains both mental and physical. Based on the level and stage of infection, one can experience some changes after 3 sessions. 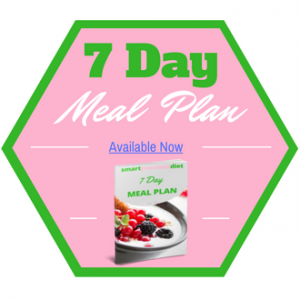 However, this will be determined by a number of factors and combining acupuncture with a healthy lifestyle and diet can help accelerate results. It is however, worth noting that the results vary between one patient to the other and therefore you should not worry if at all things don’t happen as fast as you would like.Is it worth investing time and money in? If you can afford it then yes – the sense of calmness and tranquility you receive from a session is fantastic if done correctly. If money is tight then why not grab your running shoes and go jogging 3 times a week to reduce your stress levels and try and balance your “chi” that way.